Prominent & Leading Distributor / Channel Partner from Vapi, we offer vibrating fork level switch, clever level switch, miniature level switch, ultrasonic level transmitter, level float switch and cable float level switch. Driven by a vision to achieve significant growth in this industry, we are committed towards providing a wide array of Vibrating Fork Level Switch. 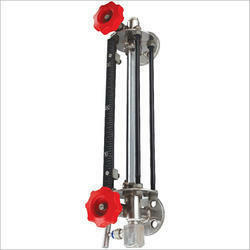 We are offering a wide range of Clever Level Switch. In comparison to other measuring methods such as vibrating forks and capacitive sensors, this technology has decisive benefits: It has no vibrating parts and is unaffected by conductivity- or temperature- based changes. 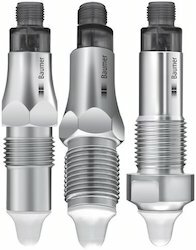 Furthermore, the sensor is suitable for all types of applications so you can use the same sensor for the entire process, thereby reducing the number of sensors you stock. 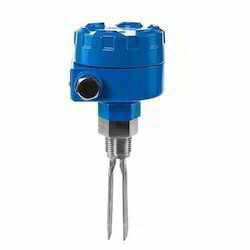 Miniature Level Switches are installed vertically and can be side mounted.They provide actuation high, low or intermediate liquid levels.The switch actions can be reversed from NO (Normally Open)to NC (Normally Closed) by simply changing the float direction. We are offering a wide range of Level Float Switch. Level switch is Compact rugged construction consisting of free moving float and a switch assembly in non - magnetic material to catch maximum magnetic flux. It includes dual magnets, one carried by the float arm and other by the other assembled in the switch enclosure. A change in liquid level brings the like poles of dual magnets opposite to each other and resulting repulsion force which gives a changeover contacts with snap action. 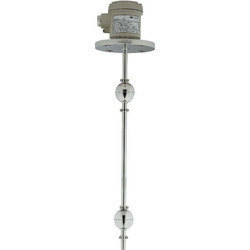 Cable Float Level Switch is a simple and reliable switch for level detection. 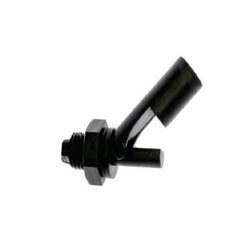 It can be used for a small or long range of storage tanks and reservoirs.Polypropylene rigid construction provides prevention from corrosion.Float tilt with liquid in rising fall condition, accordingly micro switch operates from NO (Normally Open) to NC (Normally Close) position.It can be used as a multipoint switch also. 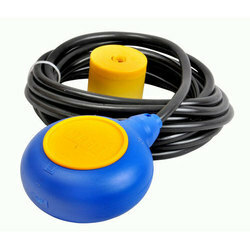 We are offering a wide range of Polypropylene Miniature Level Switch. 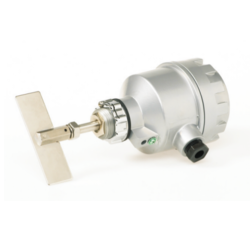 Qur Rotary paddle switch help detects full, empty or demand conditions on materials such as grain, feed, cement, plastic granulate and wood chips. These paddle switches can handle bulk densities as low as 15 g/l with the optional hinged vane or 100 g/l with the standard measuring vane. Paddle sensitivity can be adjusted for varying material properties like buildup on the vane. A low revolution geared motor with slip clutch drives a rotating measuring vane that senses the presence of material at the mounted level of these switches. As material comes into contact with the rotating paddle, rotation stops, changing the microswitch state. When the paddle is no longer covered by material, rotation resumes and the relay reverts to its normal condition. 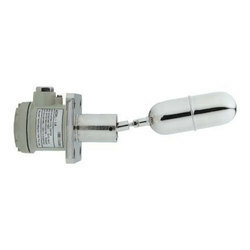 We are offering a wide range of Magnetic Float Level Switch. 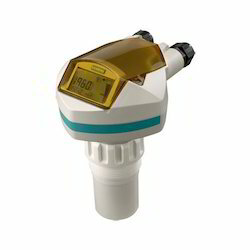 We are offering a wide range of Level Indicator Float. 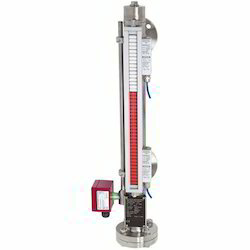 Tubular Level Gauge employ the principle of indication of liquid level in a vessel by direct communication.With water, clear liquids the surface is only visible through the vibration of the meniscus and with colored liquids, visibility improves in relation to the intensity of the liquid color. 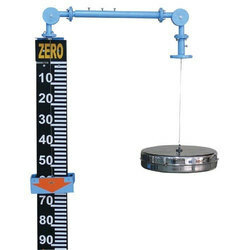 Looking for Level Measurement Tools ?